Who Is Eating The Vegetables? I worked from home today which was a huge relief as I was so tired I really appreciated a lie in. 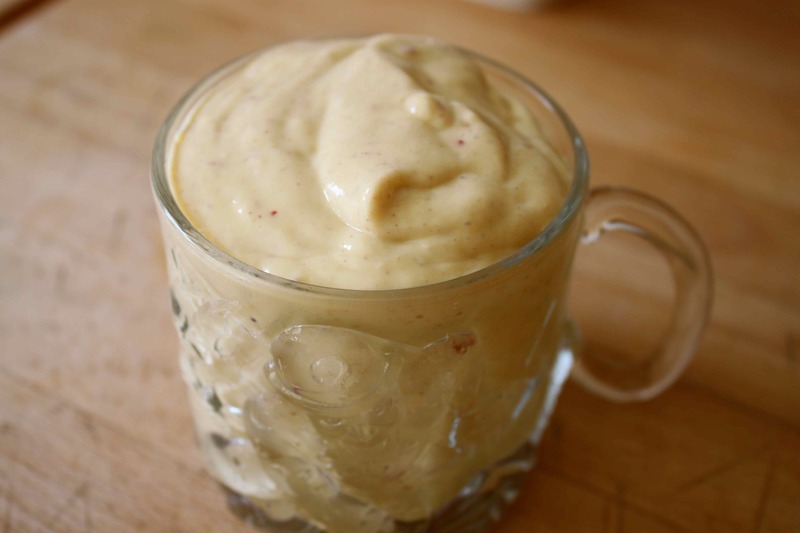 Having commuted downstairs and in to the dining room I worked for a bit and then made a lovely thick smoothie with 1 small mango, half a nectarine, some natural yogurt and a surprise ingredient – sunflower seeds sprouts. 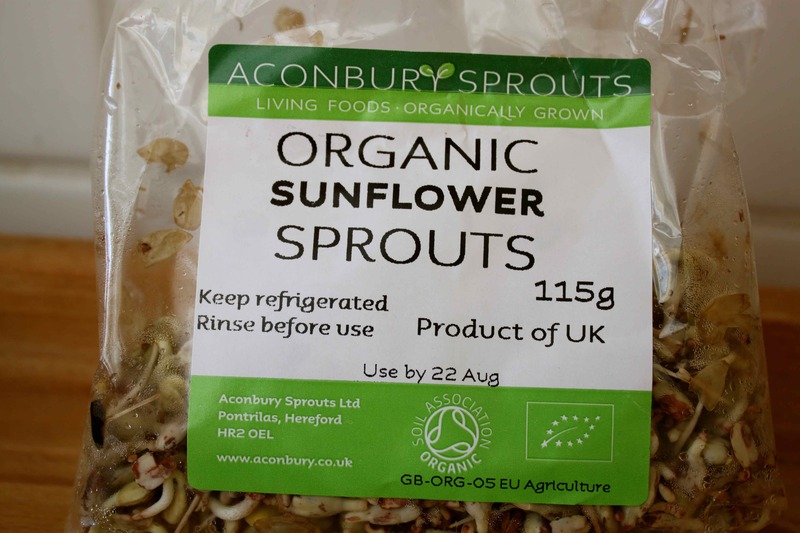 These are my favourite of all sprouts. They make the smoothie really nutty and substantial. This one worked out really well and was thick like a custard. Delicious. 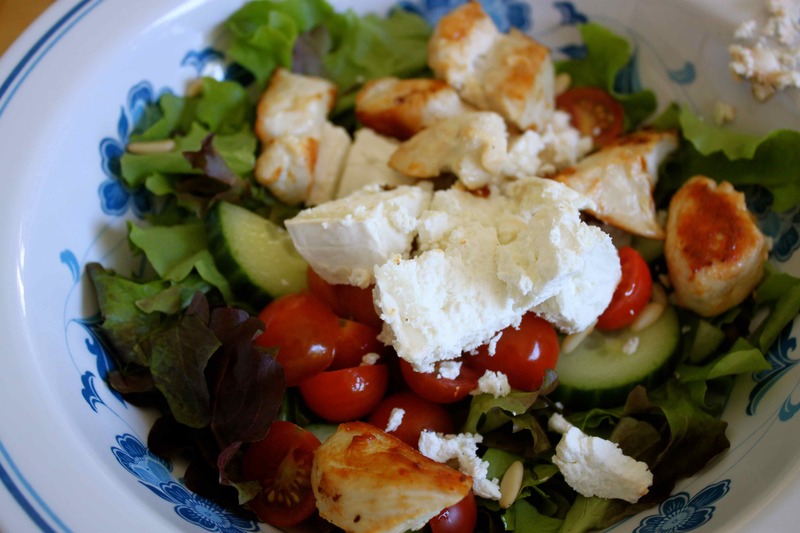 Lara made me lunch so I could keep working- chicken and goats cheese salad. After lunch I went for a stroll around the garden. I happened to have my glasses perched on my head so I was able to see who is munching my vegetables. and these little critters are munching their way through my kale :-(. What can I do about them? Any ideas? 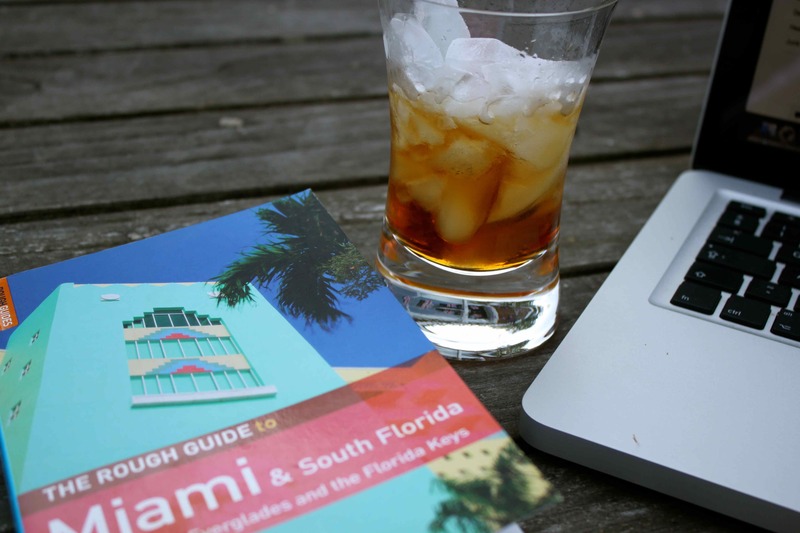 After work I sat outside in the lovely warm evening air and enjoyed an amaretto on ice while I researched a holiday. Such a pleasant way to start a weekend. Lara made dinner too – was a perfect daughter. 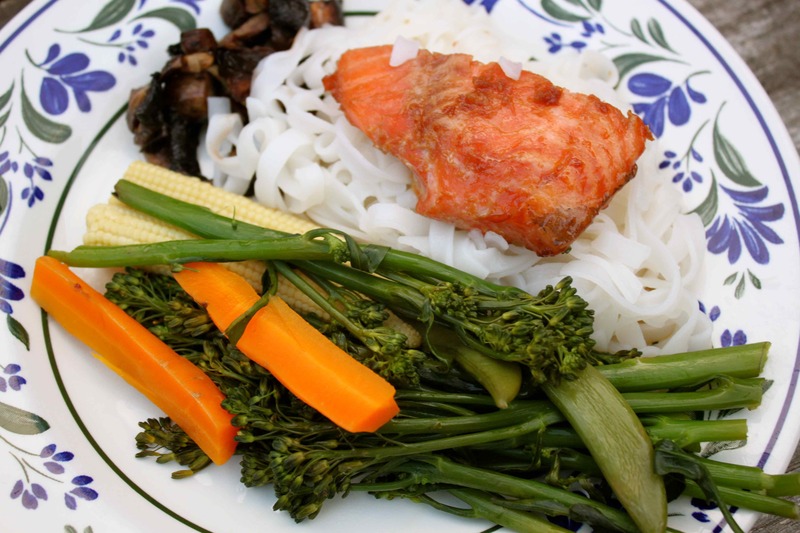 Salmon marinaded in maple syrup and soy sauce (recipe is on the recipe page) with rice noodles and a lovely selection of vegetables. 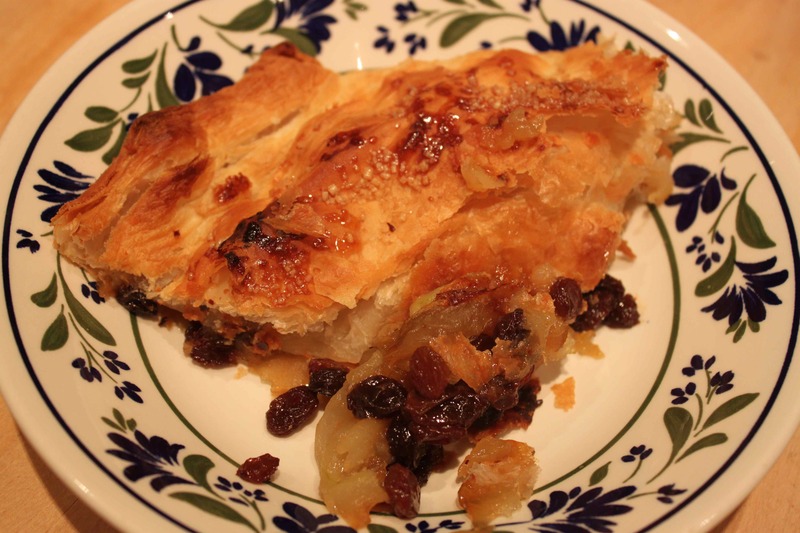 I made a very easy dessert of apple and raisin pie. It was so easy. I soaked some raisins in amaretto for about 2 hours. Then I put the oven on to 200, buttered a large pie dish, added the soaked raisins and 3 large cooking apples which I peeled and sliced. I added about 2 tbsp demerera sugar, topped it with puff pastry which I brushed with milk. Finally I sprinkled another 1 tbsp sugar on the top and cooked it for about 25 minutes. It was lovely. Naughty but lovely and so simple to make. So here’s to a good weekend. This entry was posted in Uncategorized and tagged Apples, Salad, Salmon, Smoothie. Bookmark the permalink. 2 Responses to Who Is Eating The Vegetables? Zöe what you have are caterpillars known as Cabbage Loopers. I am just going to c/p from Better Homes and Gardens. Row covers: In spring, keep the white cabbage butterflies from laying their eggs on the plants with floating row covers. These row covers create a barrier that keeps the insects out but allows air, light, and moisture to reach the plants. You will need to remove the row covers when your vegetable plants grow too large or when the temperatures heat up too much in summer. Hand picking: You can easily keep small populations of cabbage loopers under control by picking the insects off the plants and dropping them into a bucket of soapy water. Cleaning up in fall: Be sure to keep your garden clean. The pests often overwinter in garden debris — so cleaning up your vegetable garden and tilling it each fall will help keep the pest under control. Attract beneficial insects: Planting flowers, such as marigolds, calendula, sunflower, daisy, alyssum, or dill nearby can attract beneficial insects that attack and kill cabbage loopers and cabbage butterflies. Bt: Spaying Bt (Bacillus thuringiensis) on plants can help. 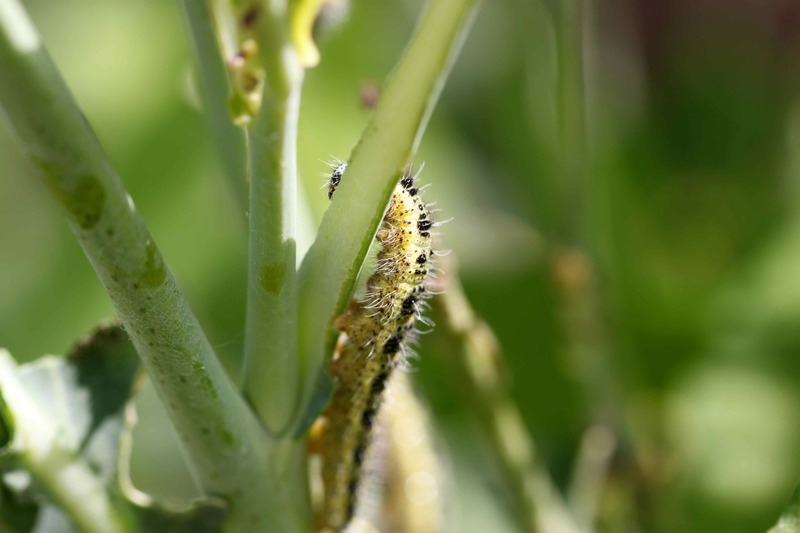 Bt is a naturally occurring bacterial disease that only attacks caterpillars. Many vegetable gardeners consider Bt an organic product. 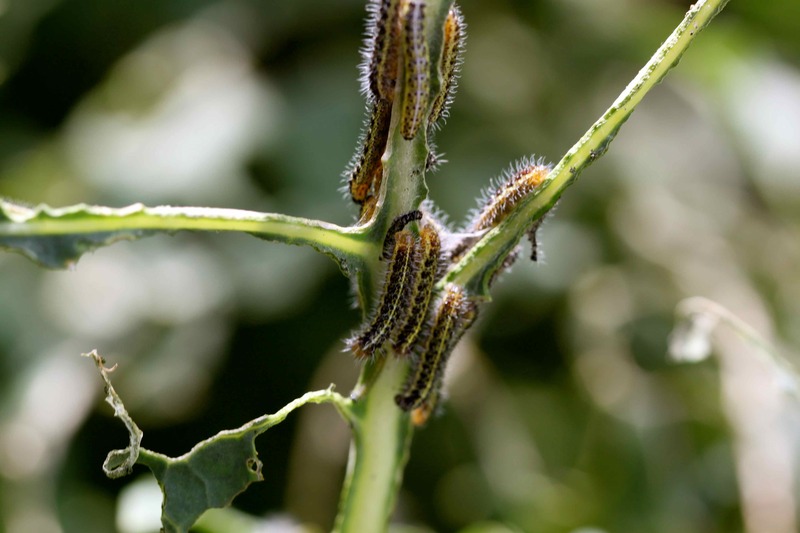 Insecticidal soaps: Insecticidal soaps will also kill the caterpillars, but must be applied on a regular basis in heavy infestations as they may not kill any cabbage looper eggs. 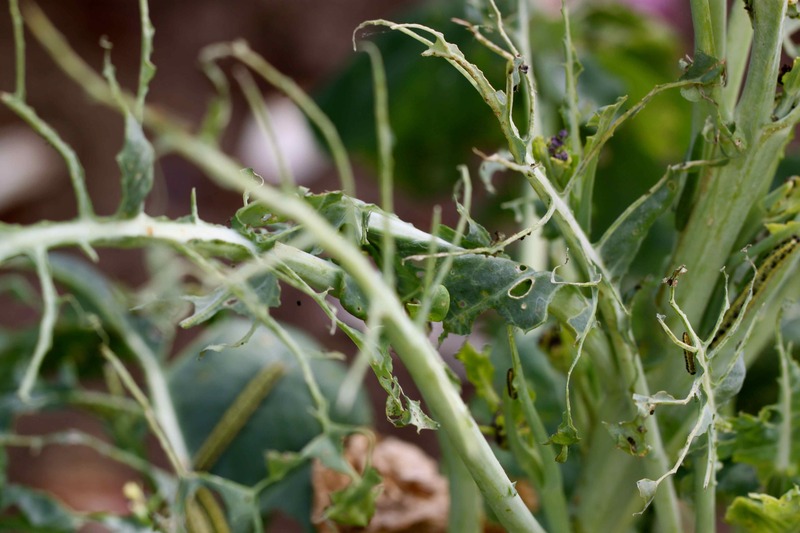 Insecticides: A number of insecticides also effectively kill cabbage loopers. Be sure to follow the package directions carefully. 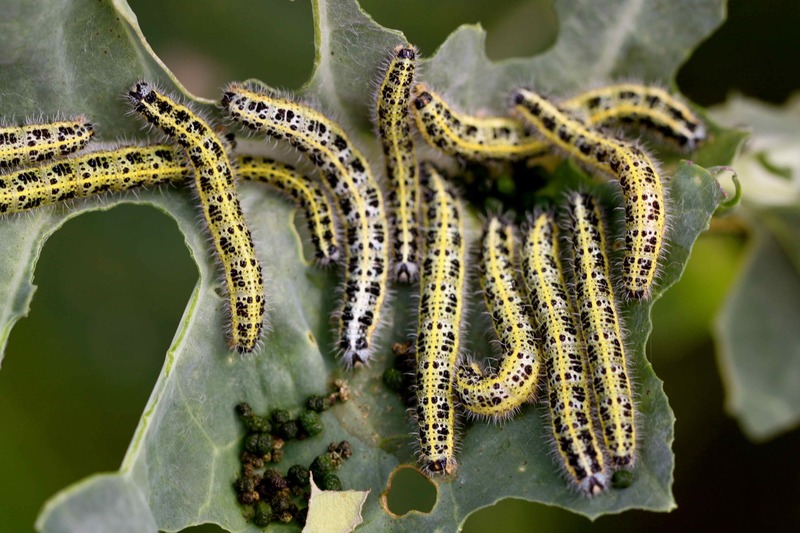 My neighbours with their organic garden have used the Bt with great success as they don’t want to hand pick these caterpillars off when they do strike. Also, spraying the plants with warm soapy water adding a couple of drops of dishwashing liquid to a spray bottle helps tremendously. If your nights are still above 15C you could also go and buy some nematodes to make sure the eggs get eaten.